Although not in the book, MGM’s idea to have counterparts for all the main Oz characters in Kansas was popular enough to feature in pretty much every other major Oz film. Something interesting that I heard in the Hungry Reader’s review of Return to Oz was that, while MGM’s Oz was a dream, Disney’s was a parallel universe where you meet people who are very similar to those you already know. I thought of this again when I read some thoughts on Return about how Oz in that film was somewhat dreamlike, but not strictly a dream. 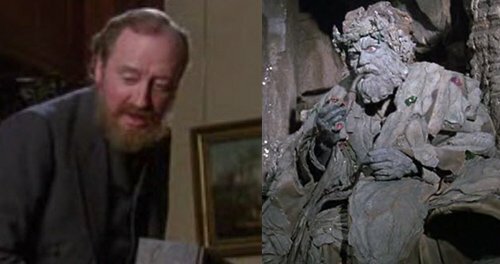 In Return to Oz, the Nome King is the fantasy version of Dr. Worley and Mombi of Nurse Wilson. 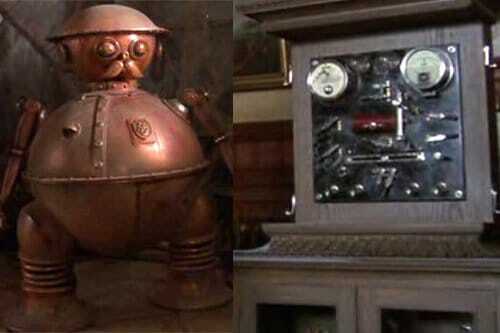 Tik-Tok, Jack Pumpkinhead, and the Gump have non-living inspirations in the hospital scenes. Despite this, it’s still not as clearly intended to be a dream. It’s more that the two worlds mirror each other, as director Walter Murch is known to have intended. It’s been pointed out that Dorothy sees the Nome King die and Mombi in a cage before she sees the same things happen to their counterparts in the United States. Ozma even turns up in both places. It also seems, however, that Ozma is supposed to be the Ozian equivalent of Dorothy herself, as Dorothy finds her in a mirror when she wishes she could be in two places at once. That’s strange in light of how close the two girls are in the later books. When you’re kissing someone who’s too much like you, it’s like kissing a mirror. Return is also in the somewhat odd situation of being a follow-up to both the book AND the movie, as the Ruby Slippers appear, but Dorothy also knows about the Deadly Desert and how the Tin Woodman became tin after cutting off his flesh body parts. Not that these things directly contradict the MGM film; perhaps she learned about them off-screen. But then, there’s also a Cowardly Lion who looks like an actual lion. Are there any other sequels that combine elements from different versions? I haven’t seen the Ang Lee Hulk, but I understand the later The Incredible Hulk with Edward Norton is sort of a broad-strokes follow-up to it, using much of the same story but changing some things without being too concerned about it. With Return, I saw it before I’d read any of the Oz books, and I don’t recall being confused by any of the changes from the earlier movie. And new presentations of the same stories often contain references to previous ones, especially nowadays. 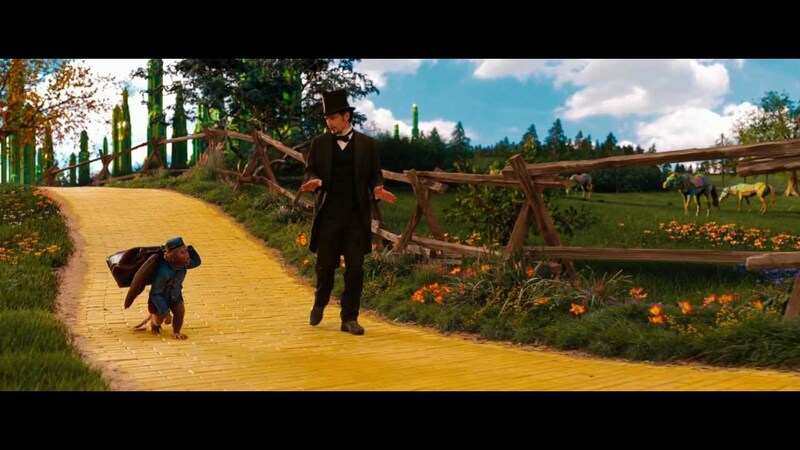 In Return itself, one of the people in the Emerald City was turned to stone while reading the part of The Marvelous Land of Oz about the Sawhorse, when the movie is partially retelling that same story without that character (or Tip, who brings him to life). Disney’s more recent big-screen foray into Oz, Oz, the Great and Powerful, seems like it’s purposely avoiding any reference to their earlier box office failure. There’s barely any reference to the books at all aside from the China Country and the Wizard’s full name, and there are as many MGM references as they could fit in without having to pay for them. But since the Wizard doesn’t wake up at the end, it’s presumably supposed to be real and not a dream. It would be a little weird to have a prequel to a dream anyway, especially when the person who dreamed the original wouldn’t have even been born yet. We once again get the parallels, however. The Wizard’s assistant Frank becomes the Winged Monkey Finley; a girl with broken legs who sees his magic show the China Girl; and Annie, a woman he has feelings for who’s marrying someone else Glinda, who didn’t have a real-world counterpart in the 1939 film. The woman is presumably supposed to be Dorothy’s mother, since she says she’s marrying John Gale. So if Glinda is alternate-world Dorothy’s mom and Ozma is alternate-world Dorothy, does that mean Glinda is Ozma’s mother? That’s certainly a theory that’s been proposed before by fans of the books, even if it’s not that likely with what we see in the post-Baum books. 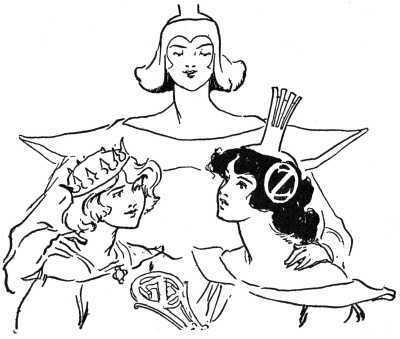 Of course, Great and Powerful doesn’t mention Ozma at all, instead making Glinda the daughter of the previous king. It also has the Wizard and Glinda beginning a relationship, but apparently he later has no problem leaving her behind in Oz. And he’s also Professor Marvel? I don’t think you can really fit all these things together so well. This entry was posted in Characters, Dreams, L. Frank Baum, Oz, Oz Authors, VoVat Goes to the Movies and tagged china country, cowardly lion, dorothy gale, dr. worley, glinda, gump, jack pumpkinhead, mombi, nome king, nurse wilson, oz: the great and powerful, ozma, return to oz, Ruby Slippers, the marvelous land of oz, the wizard of oz (1939), the wonderful wizard of oz, tik-tok, tin woodman, walter murch, winged monkeys, wizard of oz. Bookmark the permalink.